The ‘smart fitness watch’ – that’s how Fitbit described the Blaze back in 2016. The Blaze had been the closest Fitbit came to manufacturing a smartwatch. For the last few years Fitbit’s fitness wristbands and trackers have been outselling smartwatches. But an IDC report with figures for second quarter of 2017 revealed a shift towards more intelligent and feature-filled smartwatches. If with Blaze, Fitbit dipped its feet in smartwatch waters, the Ionic is its plunge. A serious effort to vie for the same consumers who are sporting Apple Watches and Samsung’s Gear smartwatches. Can the Ionic make serious headway and should you consider it if you’re in the market for a smartwatch? There’s clearly a lot riding on the Ionic for Fitbit. The company’s fitness trackers have been under pressure from lower-priced rivals like Xiaomi, while a shift towards smartwatches has seen features like GPS going from ‘good to have’ to critical. Fitbit’s acquisition of struggling smartwatch maker Pebble, couldn't have come at a better time. It gave Fitbit access to a whole ecosystem and an app developer community who could potentially build intuitive apps for the Ionic and beyond. Aesthetics and appearance were not the selling point for smartwatches. That has changed over the last couple of years. The Apple Watch certainly raised the bar and today smartwatches need to look as good in the boardroom as they look in the gym. The Ionic employs a unique manufacturing technique that Fitbit calls nano-moulding technology. It fuses plastic and metal seamlessly for a lighter design and hugs your wrist. That’s the one big change from the Fitbit Blaze that featured a more ‘blocky’ form factor. It certainly looks sharper than the Blaze and yet, it’s still not likely to win acceptance across the board, especially if you’re used to the Apple Watch design. We like the design and the bright 1.42-inch display (348 x 250 pixels) with a maximum display brightness of 1000 nits (ensuring visibility even under harsh sunlight). The quality of the silicon strap in the box (each Ionic is bundled with a small and large size straps) is top class. You can swap your strap for a range of third party or Fitbit original straps in leather and steel. The Ionic combines two key value propositions. First, it’s a smartwatch that blends Fitbit’s strong fitness pedigree. This is clearly Fitbit’s strong suit and the Ionic has a bunch of sensors embedded on its back. It’s heart rate sensor is fairly accurate and then there’s sleep-tracking. Fitbit has tracked sleep patterns more extensively than any other device on the planet and the Ionic offers quite a few sleep insights. You can access all these insights and all the other standard step counts, calorie burns also on Fitbit’s companion app. The Fitbit app is one of the most comprehensive and also has a pleasing UI. Unfortunately, you can’t view your sleep insights on the watch, you’ll need the app. If you’re a tri-athlete, the Fitbit Ionic won’t let you down. It’s waterproof up to 50 metres, there’s GPS tracking for your runs. The Ionic is clearly a well-rounded fitness smartwatch. But that’s not the reason why the average consumer buys a smartwatch. If fitness was the only motive, consumers might choose a Fitbit tracker or a Garmin. The Ionic boasts of more smartwatch functionality than the Blaze. It does some basic things like call, text and calendar alerts. But it’s largely one-way; you can’t respond to a text or answer a call (like the Apple Watch or Samsung Gear S). While there are a few apps like Strava and a decent weather app, this is an area where the Apple Watch has a massive lead. The Ionic also has a diverse set of watch faces. There’s also 2.5GB of storage space available for music storage. The Ionic allows you to add tracks to your Watch via your Mac or PC but it’s quite a cumbersome process. You can hook up via Bluetooth and listen to your playlist during a run or workout without your phone. 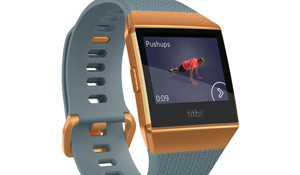 Fitbit will hope that the developer community will populate the Fitbit OS with much needed apps. There’s a lot to like about the Fitbit Ionic—the stellar battery life is one of its strengths. It can comfortably last five days, giving it a major edge over its smartwatch rivals. It is also platform agnostic and can sync with Apple and Android smartphones. The Ionic is one of the brightest sparks we’ve seen from Fitbit stable in a while and a solid first step for the brand in the smartwatch space. 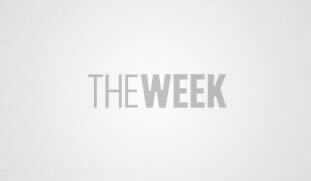 But it needs more functionality and apps to be a serious challenger to some of its more firmly entrenched smartwatch rivals. 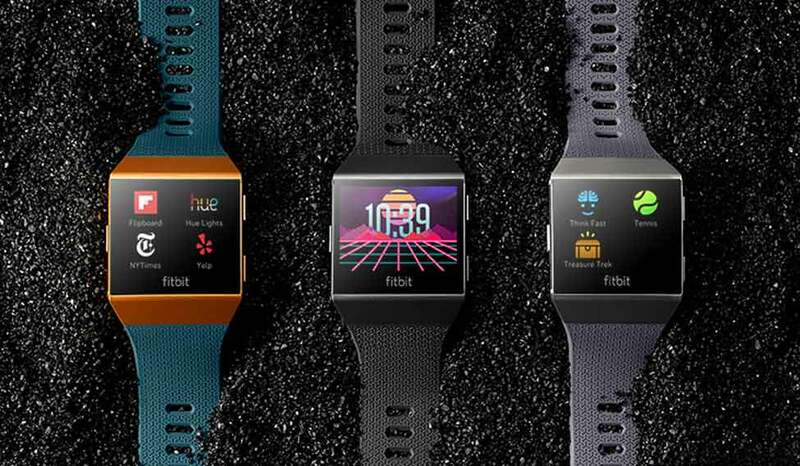 The Fitbit Ionic costs Rs 22,990 and will be available from February, 2018.